A public inquiry will be held into plans for 300 homes rejected by councillors last year. 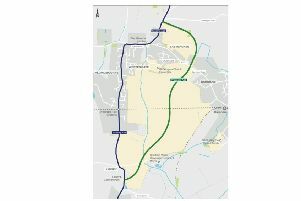 Residents scored an unlikely victory in August when Mulgrave Properties’ application to develop land West of Church Lane and South of Horsemere Green Lane, Climping, was turned down – despite the site being earmarked for development in Arun District Council’s local plan. The rejection prompted Mulgrave to appeal, with a public inquiry to be held at a date yet to be confirmed. Councillors noted two reasons for refusal of the scheme. They said its consideration before the local plan process had concluded was premature, while the application raised safety concerns at the A259 Oystercatcher junction which had not been suitably mitigated. The deadline for residents to submit comments to the Planning Inspectorate is today. They should be sent to tim.salter@pins.gsi.gov.uk quoting appeal reference APP/C3810/W/17/3187601. The Climping Field Protection Group uploaded guidance for residents who object to the plans. Visit http://clympingfield.uk for more information. Click here for our coverage of the planning meeting.